In 1979, JOHNNY THUNDERS, legendary Heartbreakers and New York Dolls guitarist, teamed up with WAYNE KRAMER, also legendary guitarist of Detroit’s seminal MC5, to form ‘GANG WAR’, an alliance that lasted the best part of a year. Although Gang War released no records and at the time they got little attention, in retrospect the collaboration is looked on as a ‘rock fantasy’ supergroup. These live recordings bear testimony to this unique partnership between two renowned rock guitar icons. Gang War came about shortly after Johnny released his ‘So Alone’ album, and Wayne was not long out of jail after serving two years of a sentence of four for a coke bust. Arriving in Detroit with the Heartbreakers, Johnny met his teenage idol Wayne who jammed with them at the gig. Johnny stayed on, moving his family to Michigan and pledging his future to Gang War. They toured regularly and recorded a couple of demos with a view to getting a deal, but they couldn’t get record company interest and after eight or nine months they split. Thomas Paul ‘Tompall’ Glaser (September 3, 1933 – August 13, 2013) was an American country music artist. He was born in Spalding, Nebraska in 1933.Active since the 1950s, he recorded solo artist and with his brothers Chuck and Jim in the trio Tompall & the Glaser Brothers. Tompall Glaser’s highest-charting solo single was Shel Silverstein’s “Put Another Log on the Fire”, which peaked at No. 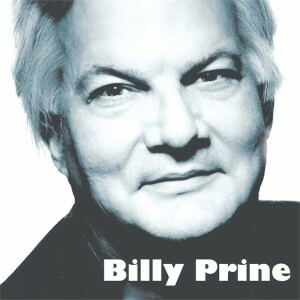 21 on the Billboard Hot Country Singles (now Hot Country Songs) charts in 1975 and appeared with Willie Nelson, Waylon Jennings, and Jessi Colter on the album Wanted! The Outlaws. The Glaser Bros. also were back-up singers for Marty Robbins in the 1950s. Glaser died August 13, 2013 in Nashville, Tennessee, after a long illness. Soul Asylum’s version of the acoustic ballads that Paul Westerberg used to break up the sloppy punk roar of the Replacements’ early albums, “Never Really Been” is the first indication of the lower-voltage direction that the group would take to its brief period of superstardom. (Ironically, one of the key couplets is “Where will you be in 1993?/Still sitting in the same chair,” unknowingly foreshadowing the year of Soul Asylum’s highest public profile.) Dave Pirner’s lyrics are fairly standard-issue post-adolescent soul-searching, although he does get off a couple of great snarkily self-deprecating lines like “You were thinkin’ I was distressed about some universe oppressed/But I was just depressed about my last pinball game.” The song is similarly good but not great; the comparisons to Westerberg’s acoustic songs are just too obvious to overcome entirely, but although the song is clearly in that style, it manages to stand on its own merits. “Never Really Been” would remain a key part of the Soul Asylum live set for years. Here’s Billy the brother of John covering one of John’s fabulous songs. 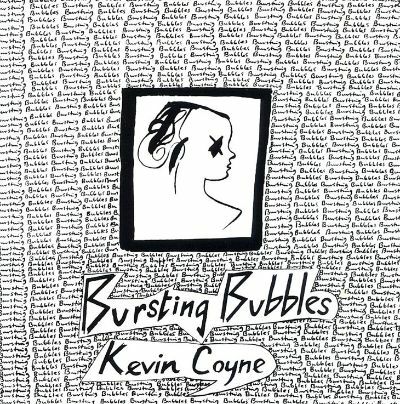 The first of two new Kevin Coyne albums released during 1980, Bursting Bubbles has the reputation for being his most “difficult” LP yet, a darkly tempered, and roughly produced collection that does, in places, feel a little like having your ears encased in concrete, while listening to an irascible schoolmaster lecture you about the hopelessness of life. But it’s also a beautiful piece of work, a fitting successor to the fractured minimalism of Millionaires & Teddy Bears, and a stark rejoinder to the awesome awkwardness of Babble. Songs like “Children’s’ Crusade,” “Learn to Swim — Learn to Drown” and “The Old Fashioned Love Song” all offer the unwary listener an object lesson in not judging a song from its title, while “No Melody” is so brilliantly mistitled that it might well be one of Coyne’s best jokes ever. Still, the album’s moodiness cannot be shaken off easily, a state of affairs that recommends Bursting Bubbles only to true Coyne converts. You certainly wouldn’t want to start listening to him with this one! Bill Nelson – Do you dream in colour? Nelson was educated at the Wakefield College of Art, where he developed an interest in the work of poet and filmmaker Jean Cocteau. At this time, he was also developing as a musician, drawing upon Duane Eddy as a primary guitar influence. His first record was a brief contribution on the album A-Austr: Musics from Holyground, with Brian Calvert, Chris Coombs, Ted Hepworth, Mike Levon and Brian Wilson. Levon recorded and produced the album which appeared on Levon’s own Holyground Records label in 1970. After that, Nelson appeared in a much more substantial role with Lightyears Away on Astral Navigations released in 1971. On one track, “Yesterday”, written by Coombs, Levon recorded Nelson’s lead guitars in an acid rock style, supporting Coombs’ stylophone riff. This track also gave Nelson his first airplay by John Peel on his national BBC Radio 1 programme in the United Kingdom. Nelson’s Holyground recordings were released in February 2001 as Electrotype. Nelson’s debut solo album Northern Dream drew further attention from Peel which eventually led to Nelson’s band Be-Bop Deluxe signing to EMI and releasing Axe Victim In 1976 Be-Bop Deluxe released the album ‘Sunburst Finish’. After the breakup of Be-Bop Deluxe, Nelson created Red Noise (releasing the Sound – On – Sound album), but eventually settled into a career as a solo musician, recording albums in the early electropop vein such as Quit Dreaming And Get On The Beam and The Love That Whirls. Many of these albums were released with bonus tracks, including records featuring experimental, ambient instrumentals. For a period between the late 1970s and early 1980s, Nelson self-produced on his Cocteau label a plethora of releases, consisting of solo synthesizer and keyboard instrumental pieces. Many were later released on the short-lived Enigma label. James H. Mathis, Jr., better known as Jimbo Mathus, spent the majority of the 1990s immersed in gypsy jazz, swing and klezmer with The Squirrel Nut Zippers. When the group disbanded in 2000, the inevitable fallout (lawsuits, divorce, etc.) sent the bruised but affable multi-instrumentalist/singer/songwriter looking to his Mississippi roots for guidance, which he found touring with Buddy Guy, Luther Dickinson, and Alvin Youngblood Hart, and releasing a string of well-received solo outings with the intention of bringing “catfish music to the masses.” Fueled by a $16,000 Kickstarter campaign, 2013’s White Buffalo finds the venerable Southern rock statesman, along with Matt Pierce, Ryan Rogers, Eric Carlton, and Terrence Bishop (The Tri-State Coalition), making his Fat Possum debut with a collection of songs that celebrate every musical facet of the region, from folk (“Hatchie Bottoms,” “Poor Lost Souls”) and country (“In the Garden,” “Useless Heart”) to primal, juke joint thunderclaps like the propulsive, Mountain-esque title cut. It’s a winning formula that’s as rough and ready as it is warm and homespun, due in large part to Mathus’ amiable delivery and knack for creating memorable, accessible characters with an acute awareness of both their flaws and their strengths. Raw, heartfelt, and bereft of artifice, Mathus and company manage to find the sweet spot between Exile On Main St. and “The Night They Drove Old Dixie Down,” skillfully navigating the nooks and crannies of Americana, pulling out the sweet and succulent bits, and serving them up with genuine Southern hospitality.